A young hunter enjoys the autumn season in West Virginia. Photo courtesy W.Va. Dept. of Commerce. In anticipation of fall hunting season, the W.Va. Division of Natural Resources is reminding hunters and trappers to prepare for a safe and enjoyable season and to refresh themselves on hunting ethics. “Hunting ethically and legally preserves our image as sportsmen and women and promotes good stewardship of our natural resources,” said Gary Foster, assistant chief in charge of the division’s game management program. One of the first steps in planning a hunting trip is identifying a place you’d like to hunt and checking regulations for that area/county. Topography or proximity to your home also may be a factor in choosing a location. 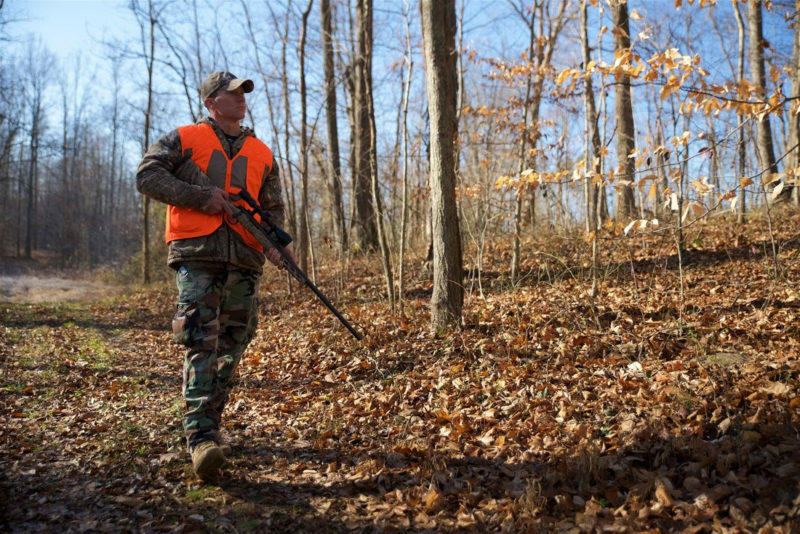 Should a hunter choose to hunt on private land, they should obtain written permission from the landowner and go over any ground rules for hunting in the area. While private land makes up 90 percent of West Virginia, there are still more than 1.4 million acres of public land open to hunting. This includes wildlife management areas, state forests and national forests. “We encourage folks to check out the DNR Hunting Interactive Map online at to explore areas open to hunting,” said Paul Johansen, Chief of the division’s Wildlife Resources Section. Hunters also should practice shooting skills before the season. Other things to keep in mind include being courteous to other hunters and not crowding folks that got to the area before you. Successful hunters, should be mindful of how they dispose of a harvest. Dumping carcasses and hides on public land is illegal. Hunters who need help locating a place to hunt can contact any DNR district office, the Elkins Operation Center or go to the DNR’s website www.wvdnr.govto find information about wildlife management areas, state forests, and national forests open to public hunting. The West Virginia Hunting and Trapping Regulations brochure can be found on the DNR’s website, all DNR district offices, and at hunting license agents. Next articlePedal-train excursion leads tourists into remote central W.Va.